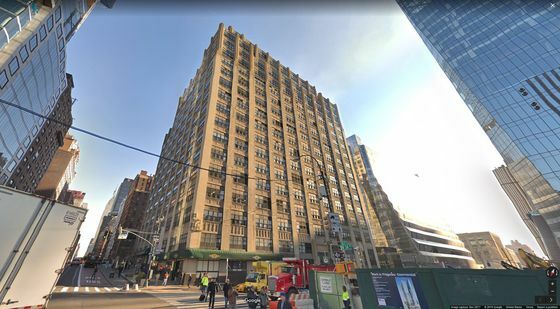 (Bloomberg) -- SL Green Realty Corp., New York City’s biggest office landlord, signed First Republic Bank to a 15-year lease at 460 W. 34th St., in Manhattan’s Hudson Yards area. The bank will take about a third of the space in the 638,000-square-foot (59,000-square-meter) tower for corporate offices and two retail branches, the companies said in a statement Wednesday. SL Green announced in December that it agreed to buy a majority stake in the building and would start redeveloping the property upon the deal’s completion, which is expected next month. The tower, once known as the Master Printers Building, occupies the full block front of 10th Avenue between 33rd and 34th streets. It’s across from Related Cos. and Oxford Property Group’s Hudson Yards project and Manhattan West, being developed by Brookfield Property Partners LP. New office buildings in the area have drawn financial companies such as KKR & Co. and BlackRock Inc. away from their traditional Midtown domain. Also Wednesday, SL Green said it signed global private equity firm KPS Capital Partners LP to a 15-year lease for 28,024 square feet at One Vanderbilt, and the law firm McDermott Will & Emery agreed to add 14,276 square feet to its space at the skyscraper, under development near Grand Central Terminal. Together, the deals bring occupancy at the tower to 56.9 percent ahead of its scheduled August 2020 opening.